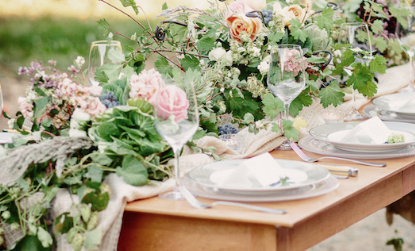 Recent trends have shown a big increase in the amount of greenery being used at weddings. Deceptively simple, the sculpturing of green plants into table decorations, swags and installations has grown over the last year. 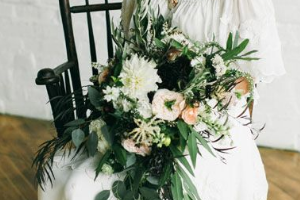 From complex layered green creations to simple specimen vases with sculptural ferns and delicate trailing vines, to bouquets including aspidistra, bear grass, eucalyptus, flax and so much more. 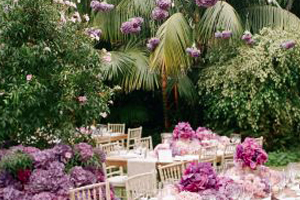 Expertise is needed for bring finesse to these arrangements, so it is usually cheaper to have simpler, flower-abundant creations at your wedding. 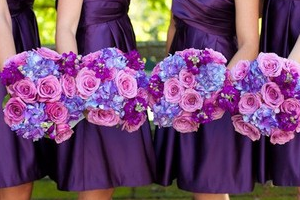 Hanging flower arrangements have become more popular at wedding receptions in particular. These can be vast creations hanging from rafters, at the edges of a room or along the centre of the tables. Suspended centrepieces create an intimate ambience in a high-ceiling rooms, particularly barns and they soften the harshness of a stark room. This trend leaves more space for those whose reception dining is family style. Hanging wedding flower centrepieces take time to install, which adds to costs. Whist one of the wedding flower trends is to use a lot of greenery, another trend is opting for bold color combinations. Bold colors are softened with pastel colors and one other colour that provides the best contrast. After all, they say that opposites attract. Coral continues to be a popular color, paired with lilac and cornflower blue. Be careful when working with color contrasts as it can be overwhelming if not done properly. The warmth of gold, rose gold and copper colors in floral decorations and bouquets create a feeling of extravagance and grandeur whether matt or shiny, sparkly or glittery. Metallics can work with a vast range of colors, but particular with the growing trend for warmer colours in wedding flowers, though they work well with neutrals and soft pastels too. 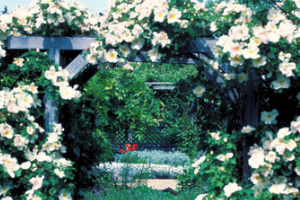 The trend for traditional flower arches is changing into something to stand in front of rather than an arch to stand under. 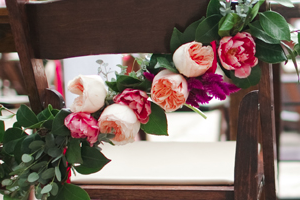 Hanging floor length garlands of blooms on a wall or from rafters is labour intensive and likely to cost more than the traditional floral arch. The trends for a green wedding continues to grow. Brides are ordering ‘locally-grown’ produce for their meals and locally-grown, seasonal, wild and foraged flowers for decoration. The look is relaxed, with a fresh-from-the-garden feel with natural textures and foliage generously combined. Banqueting tables are one of the newer trends, replacing the traditional round tables at a reception. Garlands are used to decorate these long tables with similar garlands decorating walls. 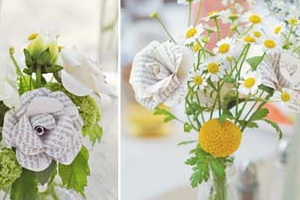 These are easy to make, using foliage twisted together to your required length and decorated with wild flowers. Alternatively, ask your florist for a garland with your favourite blooms. 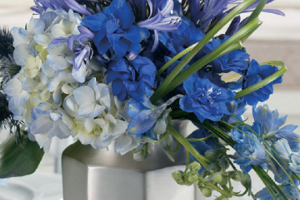 Old-fashioned flowers are another of the new trends moving into the new year. There are now unusual shaped dahlias, chrysanthemums, zinnias and carnations in subtle hues. Highly scented long stemmed sweet peas and other garden flowers are now popular for today’s brides. 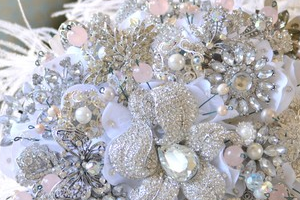 A tightly tied ball of flowers for the bridal bouquet is off-trend. Trends now are for a relaxed look as though the flowers have been freshly picked from the garden or woodland-inspired bouquets of lush ferns, greens and foraged blooms. In Bud Floral Designs has been established since 1999. After humble beginnings in Oatley West, we moved to the beachside suburb of Cronulla in Sydneys south. At the Cronulla store we are constantly growing and evolving to bring our cutomers the highest quality of products and service. Beth Godbolt leads a team of experienced and talented florists who all bring a love of flowers and creativity to everything that they do. In the store you can always find unique and unusual pieces that have been sourced fresh from Sydney's Flemington Markets. Beth loves the idea of something that is highly unusual and sometimes even a little odd becoming part of beautiful arrangements. Her work can also be found here - the place for gift ideas. The store and the flowers are a constantly evolving story, everytime a customer comes into the store they find something new and different. We hope that you enjoy our online store in the same way.